This month, Japanese Prime Minister Shinzo Abe is attending two major regional summits, the East Asia Summit in Singapore and APEC in Papua New Guinea. Between the two summits, Abe is meeting with his Australian counterpart, Scott Morrison, in Darwin in the first visit to the city by a Japanese prime minister. 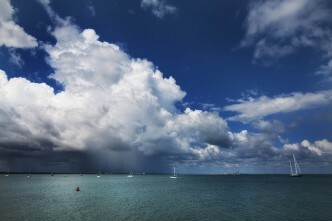 Why has Abe chosen to stop off in Darwin rather than the Australian capital? Three purposes motivate this visit in the context of the severe competition between the US and China and the temporary rapprochement between Japan and China. 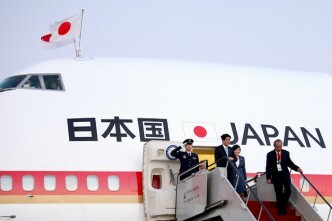 First, the Darwin visit aims to publicise the further enhancement of Japan–Australia security cooperation. 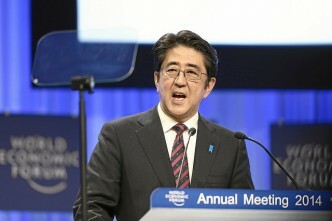 Despite the uncertainty over the details of the reciprocal access agreement, which will facilitate joint military exercises and mutual visits between Japan’s Self-Defense Forces (SDF) and the Australian Defence Force, Abe’s landing on the key military site highlights Japan’s willingness to institutionalise bilateral cooperation and, more importantly, trilateral cooperation involving the US. Facing the Timor Sea and the Indonesian archipelago, and looking out towards the South China Sea, Darwin is key to the US military presence in Southeast Asia. It was Darwin where former US president Barack Obama announced the deployment of the Marine Air–Ground Task Force in November 2011. Last month, 1,587 US Marines—the largest deployment yet—completed a six-month training rotation there. Darwin is well situated not only to improve interoperability of US and Australian forces, but to engage with regional partners—as seen in the multilateral naval exercise Kakadu 2018. As Ben Rhodes recently commented, the deployment of US Marines was carefully chosen to send a message to Beijing that Washington will work closely with its ­allies in this part of the world. 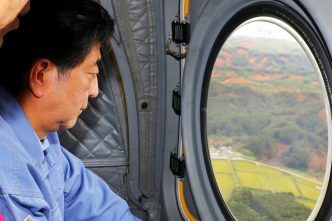 From a Japanese perspective, even despite the improvement in Sino-Japanese relations, Abe’s visit to Darwin may send a clear signal to China that Japan has neither drifted away from the US–Japan alliance nor abandoned its balancing approach against China’s military assertiveness. Abe’s visit to Darwin complements the joint statement from the ‘2+2’ meeting of the Japanese and Australian defence and foreign ministers this year that articulated their ‘commitment to increasing the complexity and sophistication of military exercises’. Given that the SDF acquired its own amphibious forces in March, more access to Darwin, along with the presence of US Marines, contributes to the capacity-building of the SDF amphibious brigade and allows for greater collaboration with US and Australian forces. Second is the economic purpose. Although the building of a free, open and rules-based economic order through the Comprehensive and Progressive Agreement for Trans-Pacific Partnership (CPTPP) and the Regional Comprehensive Economic Partnership (RCEP) is the key issue for the meeting with Morrison, the Japanese leader’s visit to the Northern Territory puts Japan’s economic presence back in the limelight. Abe is visiting the Ichthys LNG project, which takes gas from fields off the Kimberley coast and pipes it to Bladin Point near Darwin. Japan’s INPEX Corporation has a 60% share as an operator in the project, which is expected to produce LNG for 40 years, mainly for Japan. This will help the Northern Territory economically and alleviate reliance on China as a source of investment. From the Japanese, and maybe Australian, perspective, underinvestment in the NT risks inducing abrupt foreign investment in key military sites, like that which occurred with the 99-year lease of the Darwin port to Chinese company Landbridge in 2015. The Ichthys project will showcase the openness, transparency, economic efficiency and financial soundness entailed in the promotion of Japan’s ‘free and open Indo-Pacific’ strategy or vision. The economic aspect of this visit goes beyond bilateral relations. 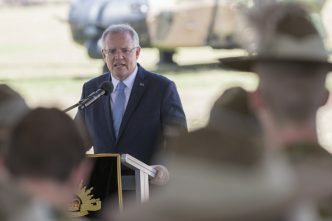 Given that Abe will head directly to Port Moresby from Darwin, the meeting with Morrison allows the leaders to compare notes on their commitment to the Pacific islands, especially the connectivity of the region. Canberra is apparently concerned about China’s growing economic presence in the region and potential military presence through infrastructure development in Vanuatu, Solomon Islands and Papua New Guinea. Morrison’s announcement of a $2 billion fund for infrastructure development reflects those concerns. Japanese foreign minister Taro Kono is also concerned about those countries’ indebtedness to China. 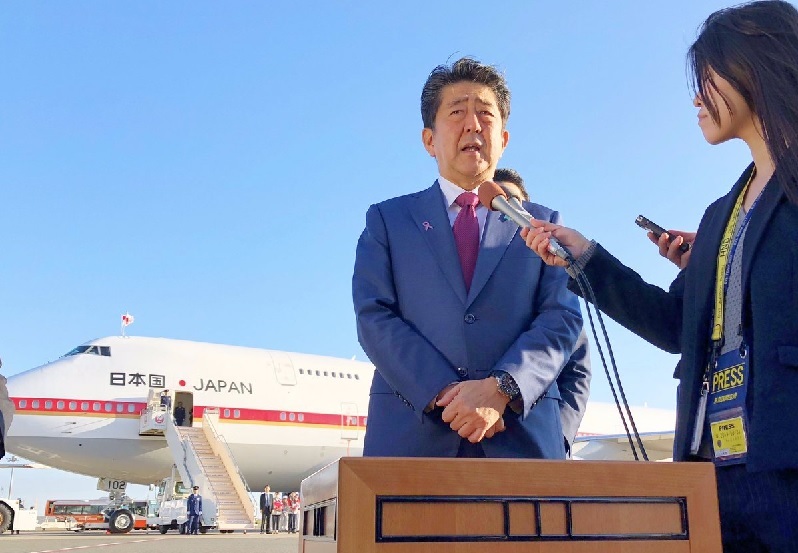 Abe is expected to follow up the joint statement of the 2+2 meeting with concrete proposals to make the free and open Indo-Pacific strategy a tangible and attractive alternative to the Belt and Road Initiative among the countries of the South Pacific. As pointed out elsewhere, this visit marks a further step forward in the process of historical reconciliation between Japan and Australia. Canberra and Tokyo have cemented their ties and built trust ever since the 1957 commerce agreement. Abe’s speech at the Australian parliament in 2014 in which he expressed sincere condolences for the tragedies of Kokoda and Sandakan marked another stage in this process. Thus, the Darwin visit may alleviate, if not eliminate, any remaining ill feeling among the Australian people about the Japanese bombing of Darwin during World War II. This important symbolic step, akin to Abe’s visit to Pearl Harbor in 2016, demonstrates a rejection of nationalism in Japanese foreign policy approaches in favour of historical reconciliation. Abe’s Darwin visit is both timely and purposeful. The outcome of the trip depends on whether both governments can follow up with concrete action like progressing the reciprocal access agreement and RCEP negotiations, and cooperating on capacity-building and infrastructure initiatives in the Pacific. That said, the meeting is also happening at a time when Japan, Australia and other partners are set to play greater roles in protecting the rules-based order from continued assertive and revisionist behaviour by China, especially in the South and East China Seas, and from unilateral and isolationist American economic policy. As allies of the US and economic partners to many countries throughout the region, Japan and Australia have to do more to build a solid partnership that can collectively stand against the challenges to the regional order. Ryosuke Hanada is a research fellow at the Japan Institute of International Affairs. Edited image courtesy of Shinzo Abe on Twitter.